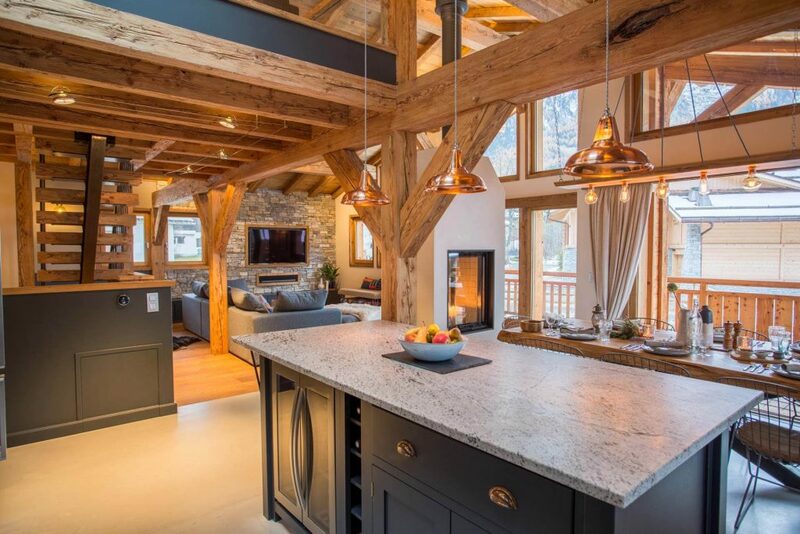 Tucked away in the French Alps, this beautiful chalet in Chamonix boasts a stylish kitchen by deVOL, featuring Artifact Lighting. 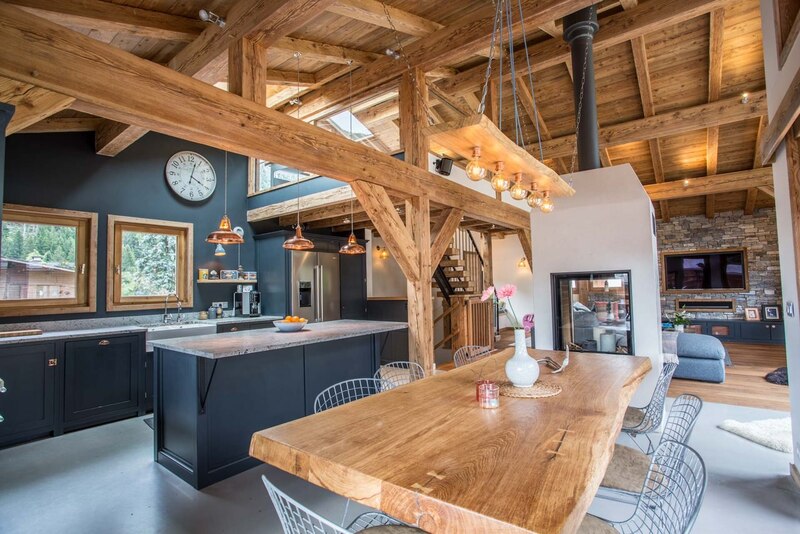 This stunning open plan space is a combination of rustic and contemporary design. 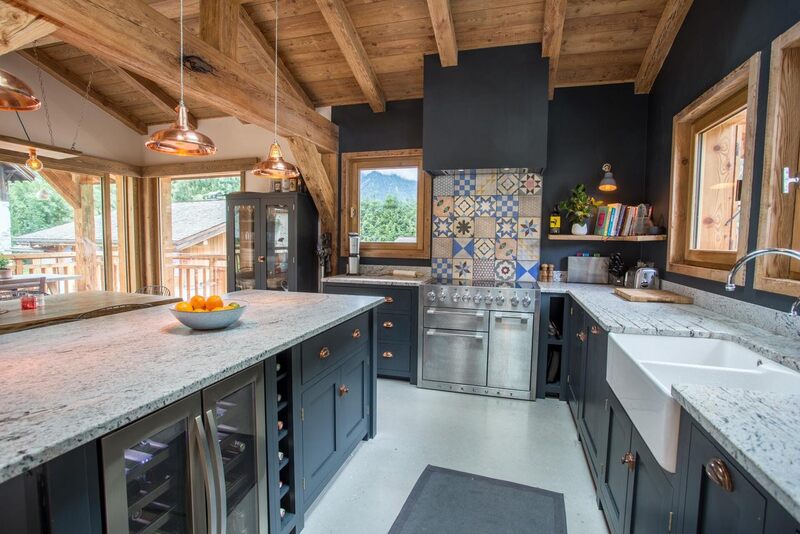 The pitched roof and wooden beams contribute to the cosy, cabin-like feel while, in contrast, the deep navy of the kitchen creates a more sophisticated look. 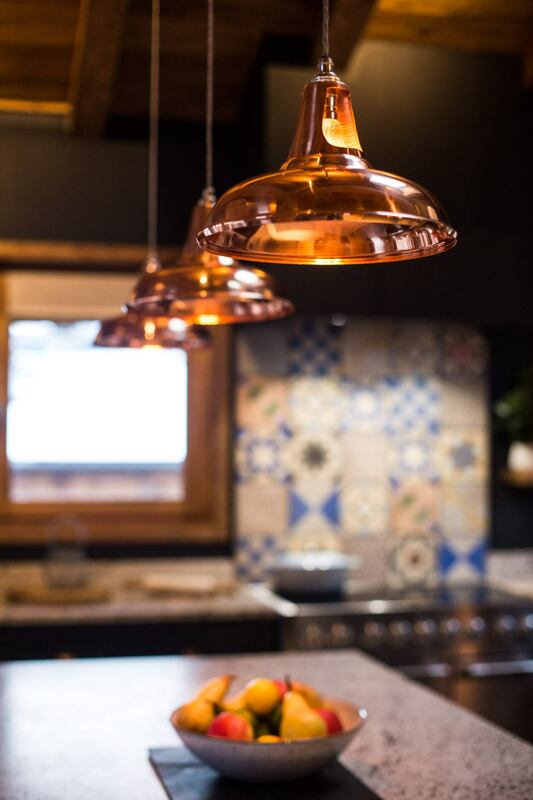 The island sits in the centre of the open kitchen and dining space, lit by three of our Copper Coolicons. 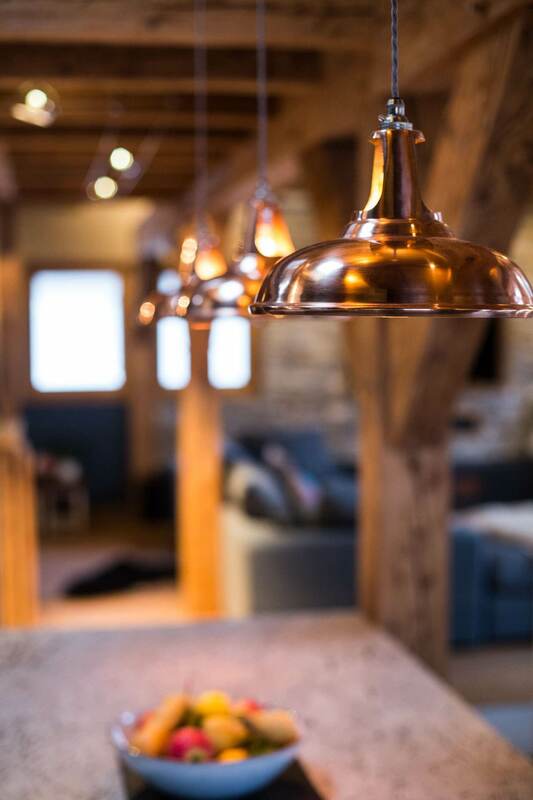 The warmth of the copper pendants complements the rich blue while reflecting the tone of the chalet’s wooden structure. 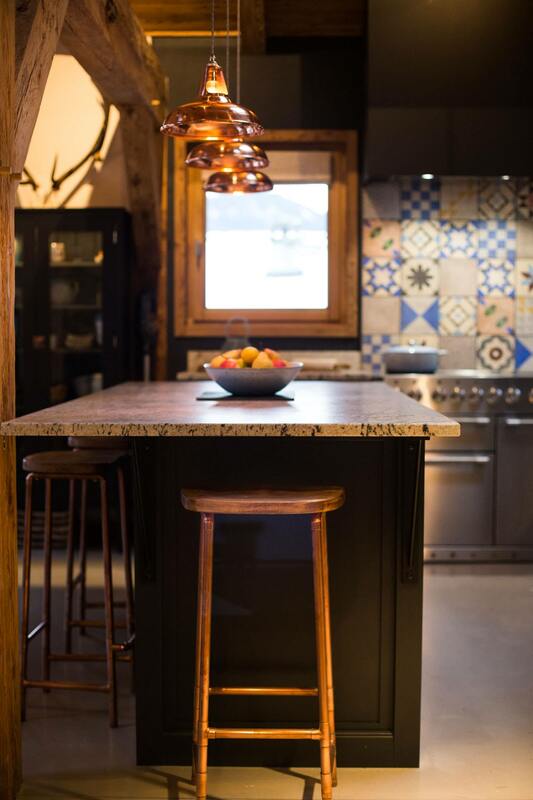 Copper hardware and stools also coordinate with the feature lighting to complete the look. 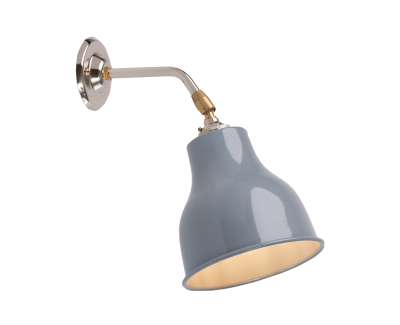 Mounted on the kitchen walls, our MK1 Factory Wall Lights in Squirrel Grey offer task lighting over the granite counters. 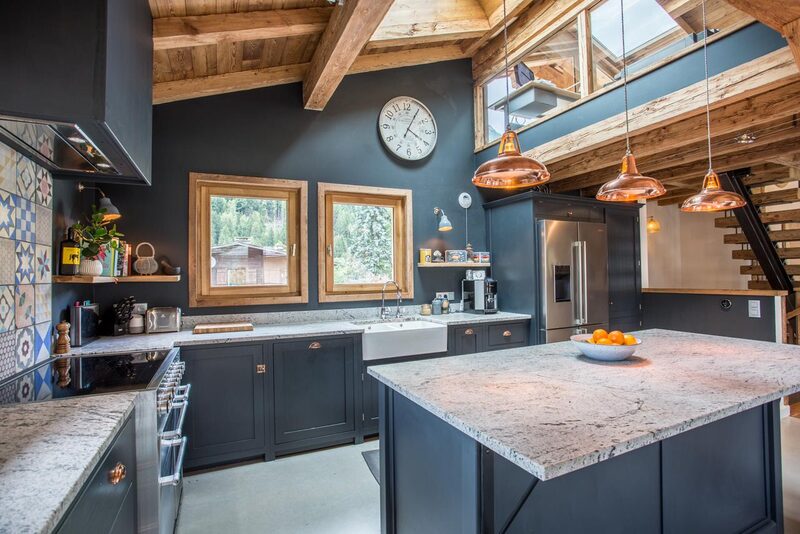 The bluish-grey of the shade is perfect for this interior as it coordinates with both the counter tops and units. The overall effect of this interior is a sleek, contemporary kitchen in a rustic style chalet. 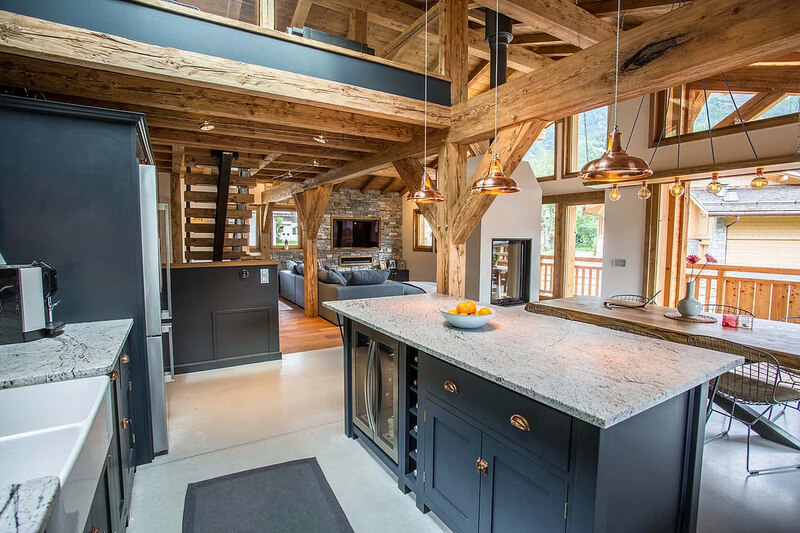 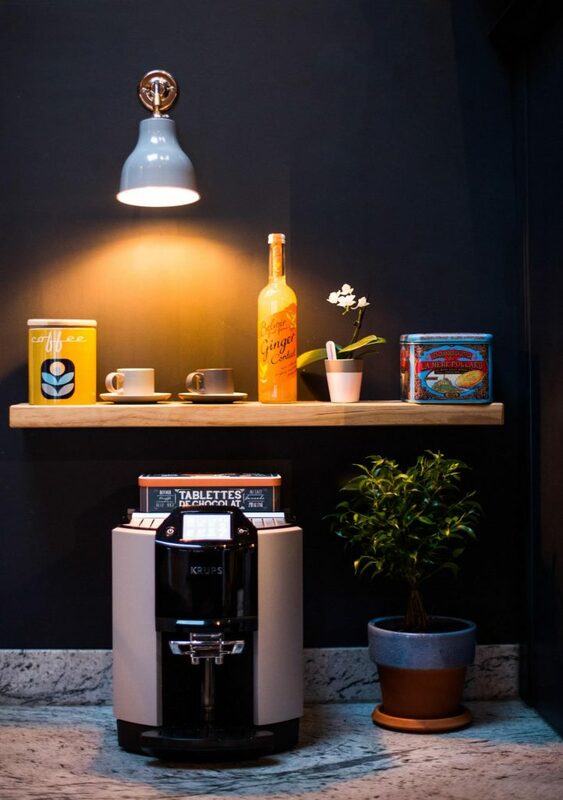 The combination of our industrial inspired lights with the classic shaker style units adds character to this beautiful home. 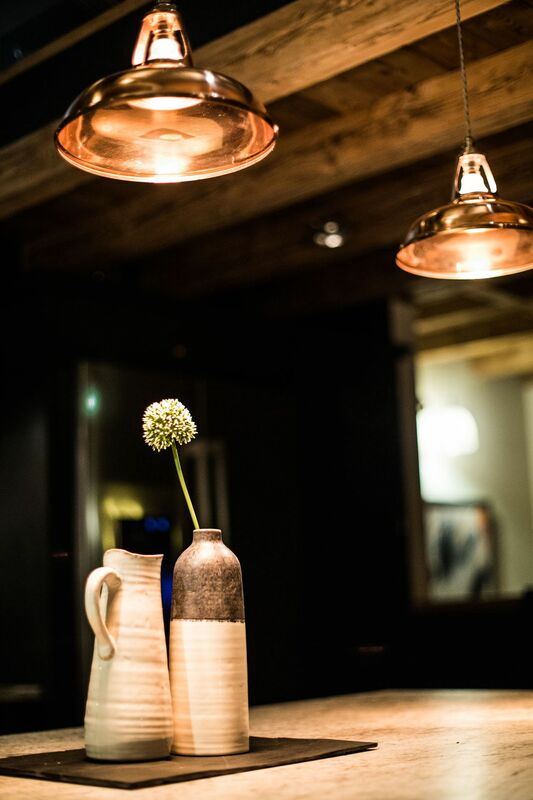 All images courtesy of G Bickford Photography.